Let My Running Journey Finally Begin. 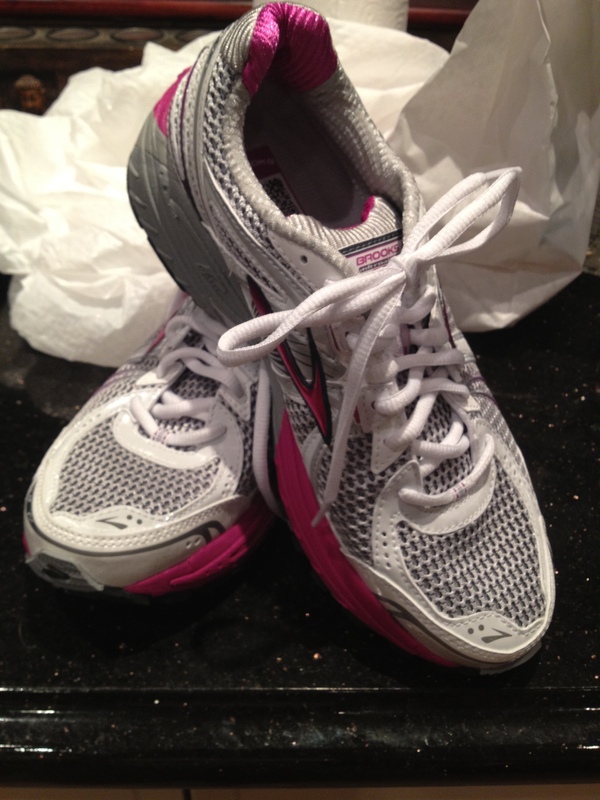 After a few bumps, hiccups and small tantrums, my running journey can commence. Thank you runner’s havenin Randolph, New Jersey for helping me out with the right shoe. Pictured is the Brooks’ Women’s Adrenaline GTS 12. Wish me luck and helpful advice greatly appreciated! Have you run before and/or you training for any particular distance? Good afternoon John! This is my first go at running. I have been active up until now however never a runner (was a swimmer). Training for a tough mudder in 2013. Any advice? Well you cant go wrong with the Couch to 5k programme. It starts with alternating walking/running and slowly builds up the distance each week. See, http://www.coolrunning.com/engine/2/2_3/181.shtml One bit of advice though, go at your own pace and trust how your body feels. So you might want to repeat the odd week or go at a slower pace. And good luck! Thanks for that. I will look at the couch to 5K today. and the website. I agree with listening to my body and going at my own pace. Some programs had me starting at 6.0 miles per hour which for some may be okay, but as stated I am not a runner to begin with. So far so good and I feel great. Going to stick it out so I can begin training for some events in the area I live in. Thanks for the vote of confidence!